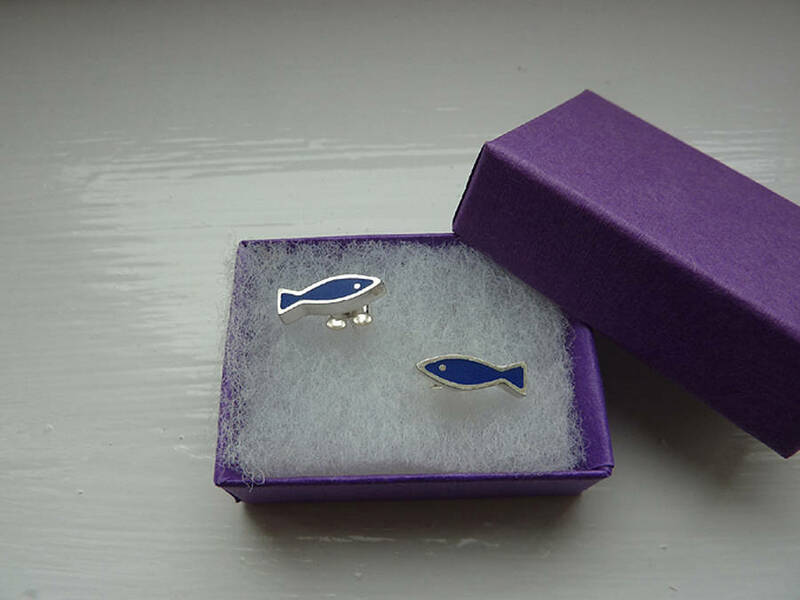 Stunning silver and resin fish studs. Made from sterling silver with a butterfly back. Why not add a touch of summer to your wardrobe with these geometric styled fish inspired by my snorkelling holidays in warm seas! 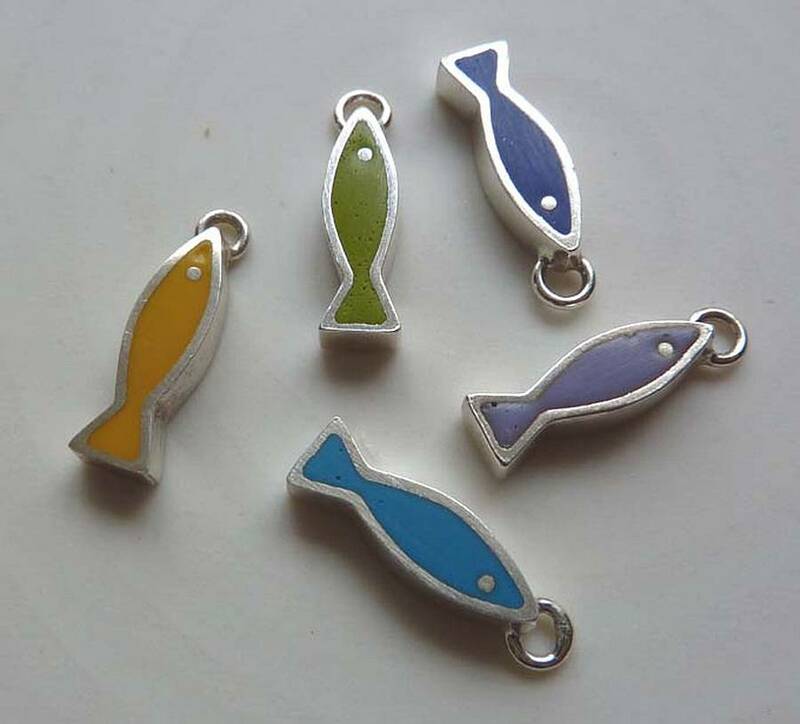 Available in turquoise, yellow, blue, lilac and green.They have a soft polished finish. 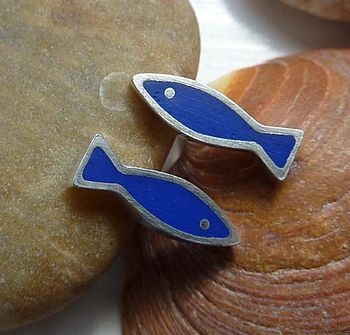 Earring size: 1.5cm long, 0.4cm wide. 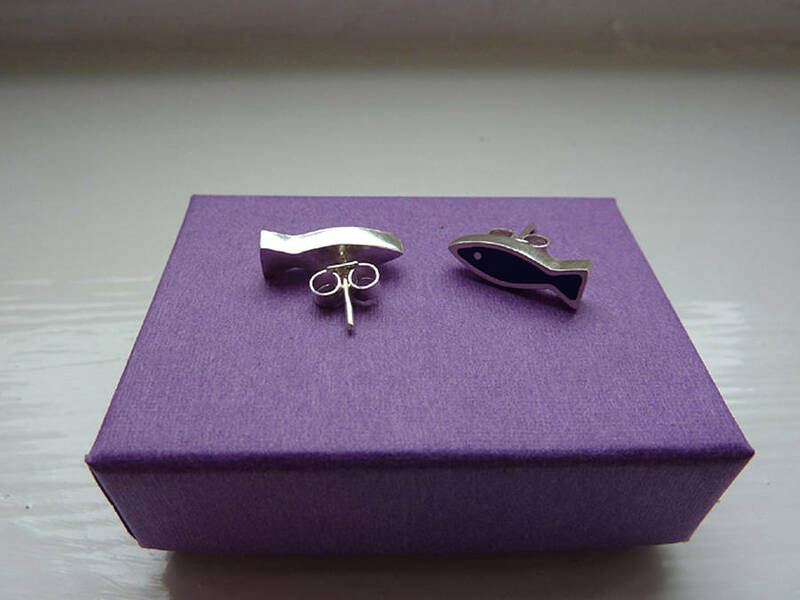 Alisonbaxterjewellery is delivered to you in a deep lilac box. Each piece is individually made in my studio. This product is dispatched to you by alisonbaxterjewellery.